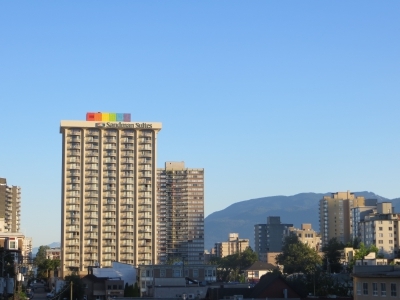 The hotel is not only located in the West End neighbourhood in Vancouver, but in the heart of the diverse Davie Street community. The hotel stands proud amongst a milieu of vibrant people, thriving shops and restaurants, and the colourful Davie Village. Join Sandman Hotel Group in celebrating the rainbow and its awareness by posting a photo on Instagram or Twitter with the hashtag #SandmanDavieRainbow.